Creating absolutely stunning external wooden doors for our customers in Chesterfield and the wider Derbyshire area is something that has been a speciality of our teams at Brinard for decades. 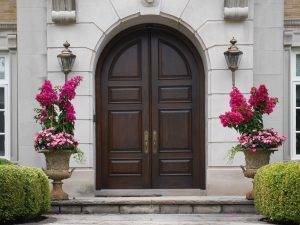 The service is available all across the Midlands; we commonly supply external wooden doors in Chesterfield, Derby, Nottingham, Leicestershire, and Sheffield. 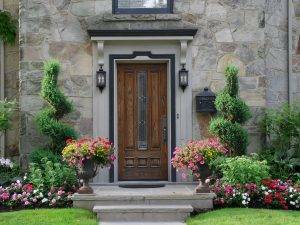 Finding the perfect external wooden doors in Chesterfield has never been easier; our service can provide you with ready made doors, which are a breeze to have installed. Alternatively you can opt for our fully bespoke service. This allows you to have complete control over how your new external doors in Chesterfield, Derbyshire, will look. In addition to our A rated external timber doors in Chesterfield, we also supply homes and other premises with superb quality timber windows, interior doors, conservatories, garden rooms, staircases and so much more; all of which can me made bespoke to your design requirements. 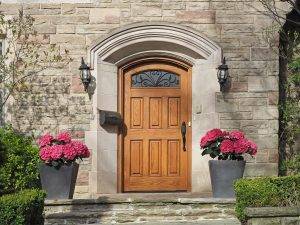 This service allows us to work with listed properties; your new external wooden doors will complement the character of your premises and adhere to guidelines. 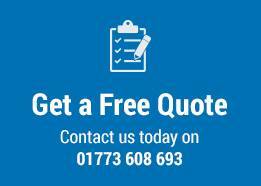 Our flexible service allows you plenty of freedom of choice when it comes to choosing the design of your new external wooden doors in Chesterfield and Derbyshire. We tend to work with Accoya wood; we have found it to be a superior material for creating wooden features for the home. Customisation can include your choice of profiles, fittings, styles, glazing, and finishes. Some of the most popular styles we create are modern, traditional, contemporary or classical. Over the years, we’ve developed a portfolio of clients who are completely thrilled with their new external doors in Chesterfield. We are proud to have worked on developments and projects with local authorities, heritage and conservation projects, as well as listed and historic buildings. 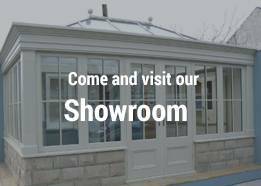 Our showroom in the Midlands has plenty of examples of our workmanship. The benefits our customers see when they have such work undertaken are unmistakable. Brinard external wooden doors and other timber features add character while complementing your existing features; they also provide you with all the modern comforts that come with high quality glazing and timber, such as improved insulation and ventilation. While we do offer off the shelf options, we understand that these are not for everyone, and will not be suitable for every building; this is why we also place a heavy emphasis on ensuring our customers have absolute freedom of choice when it comes to their external wooden doors in Chesterfield and the wider Derbyshire area. Our design teams and joiners will work closely with you to ensure your new external wooden doors in Chesterfield meet your needs in terms of aesthetics as well as function. With more than three decades of experience in the bespoke joinery industry, and as members of the British Woodworking Federation, you can rest assured that you are in the most capable of hands. We’re proud to be leaders in our profession, supplying a top quality service; we’re confident that you will be thrilled with your new external wooden doors in Chesterfield, Derbyshire. For more information and inspiration, take a look at our gallery or get in touch with us!